This house posits a number of firsts for Archilogics: with one of the most dramatic and challenging cantilevers, a green roof and a mosaic-clad temple inspired by a galaxy - all forming part of the firm’s new design language. 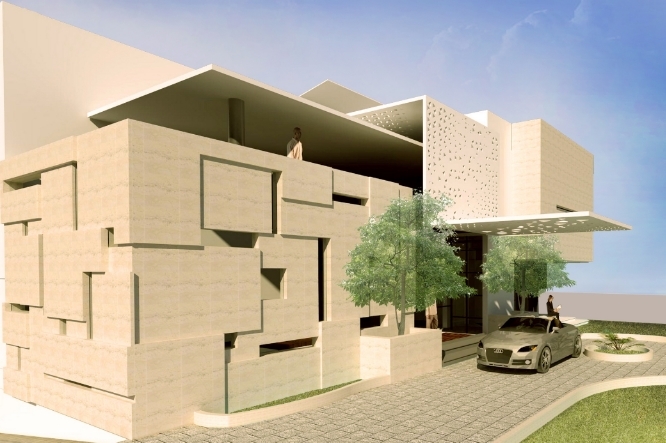 Pushing the temple outside the house challenges the typical, Indian perception of the courtyard where the outdoor living room blurs boundaries and defines experiences previously dictated by the traditional relationship between temple courtyard and living room. A one acre resident plot developed to be more than a second home fuses Frank Lloyd Wright's “exploded” box windows with a relaxed Tuscan villa feel. Marrying scales of different types, various structures create a village like linked ambience for the same house. A private project for a client in Anjuna, Goa, modifies the typical Spanish/Portuguese vocabulary to work a twin house typology connected by an entrance courtyard. The challenge in the project is to set the units according to the steep site and manage a double height too. 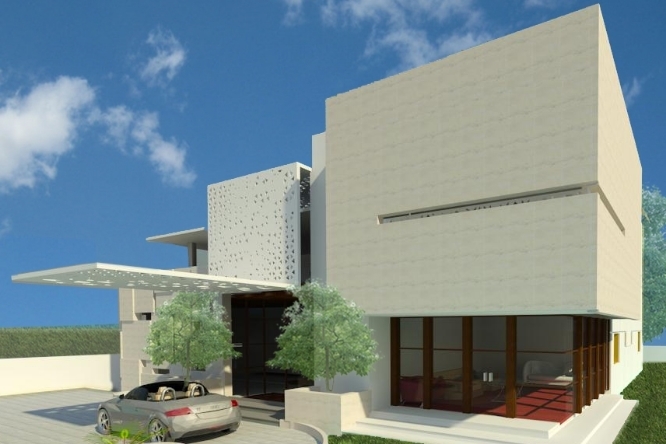 An inwardly-facing house inspired by the fluidity of nature hides yet expresses a shimmering facade, a double height marble temple and a cantilevered entry dramatically uniting green living concepts. 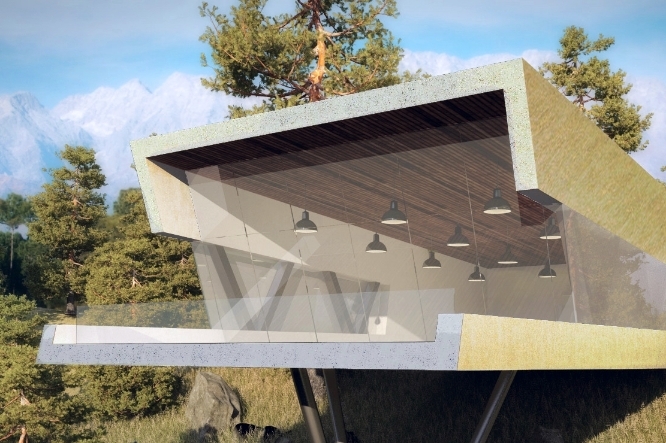 Exploring the concept of leap-off cantilevered houses, these in-progress concept renders showcase edgy, mountain response forms and structural innovations in order to maintain small profile foundations and capture intense views.